Learn about the ongoing nonprofit brain drain, impediments to growth, and how improved management and succession planning can help all nonprofit organizations. Complete the form below to download this whitepaper from MindEdge Learning. Click here to browse MindEdge's nonprofit management online courses for you and your staff. 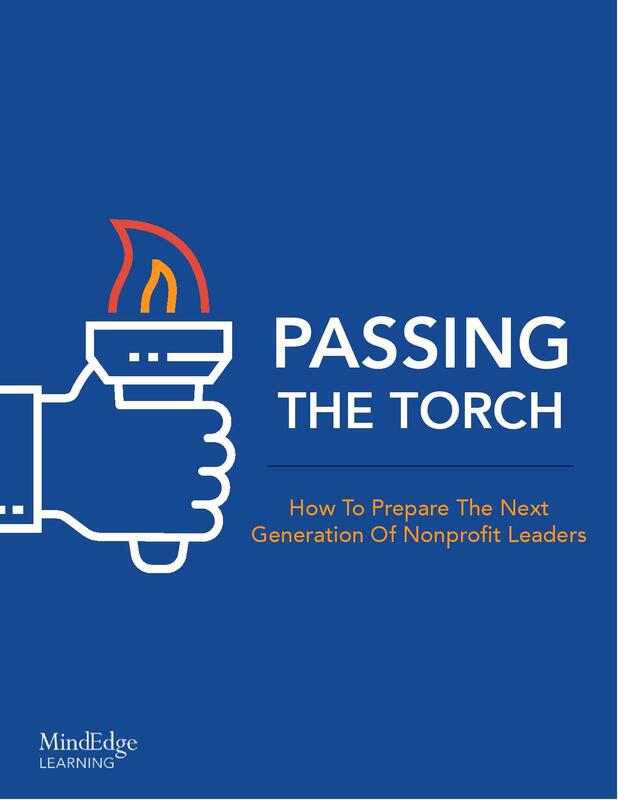 Click to download "Passing the Torch: How to Prepare the Next Generation of Nonprofit Leaders"